It’s that time again – time to glam up those claws of yours! Today I’ve got a fresh take on the Yin and Yang symbol that you can show off on your very own nails. It’s probably easier than you think and you can customize it however you want because hey, no one’s stopping you. All you’re going to need is two different nail varnish colors (you choose the colors, or you can go with the traditional black and white) and your go-to clear top coat. Yep I’m being for real right now – that’s all you need! So what next? 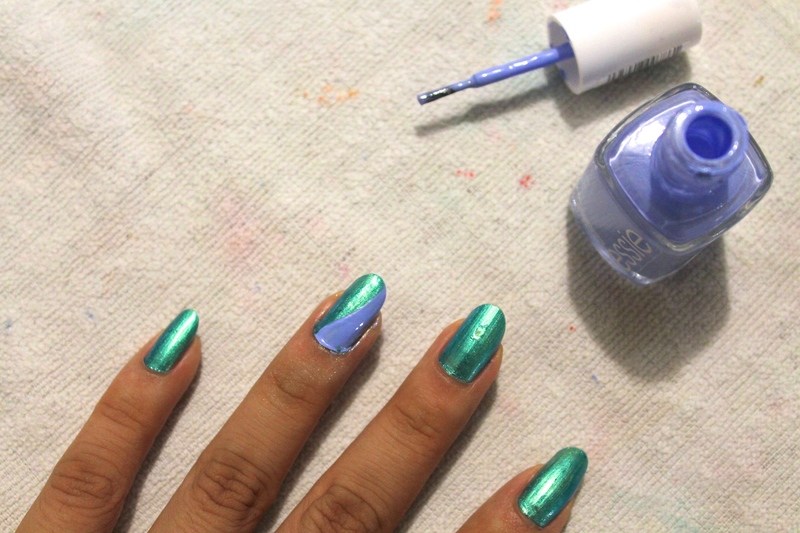 Follow this tutorial and be the talk of the town. STEP 1 Start off with fresh nails. Cut and cleaned however you like it. 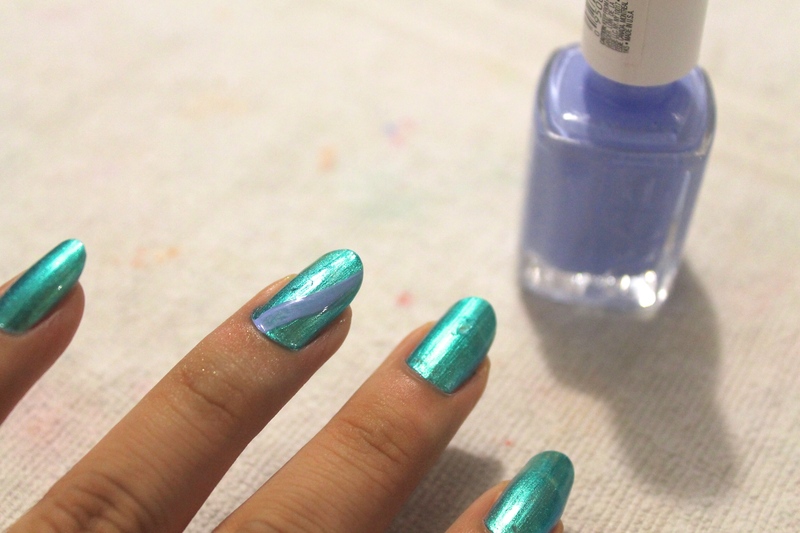 STEP 2 Choose you main nail color and apply 2 coats of that to each nail. STEP 3 Choose your detail nail (AKA the nail you want to Yin & Yang-ify) and choose your second color. STEP 4 Using the brush of your second color, paint on the line where the two colors meet (see photo below). STEP 5 Fill in one side with your second color. Let it dry for 1-2 minutes. 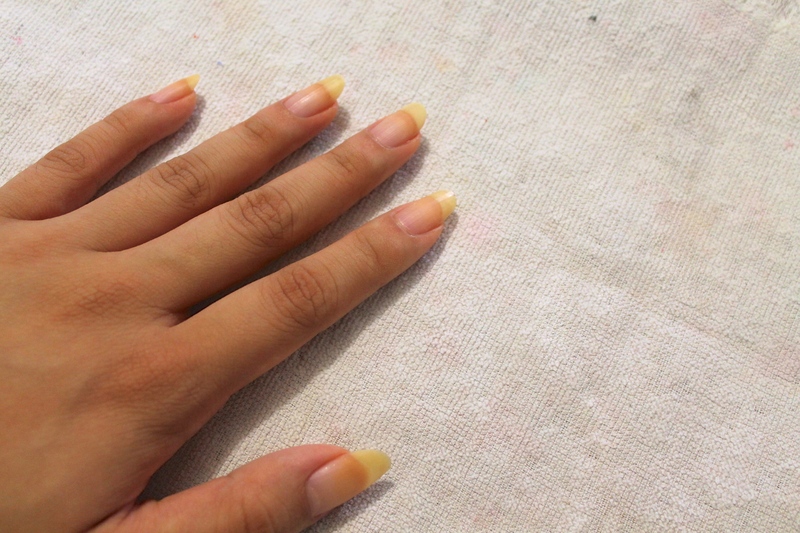 STEP 7 Leave to dry for another few minutes and apply your top coat to all nails. You’re done! Like I said before, you can customize this nail art however you want. 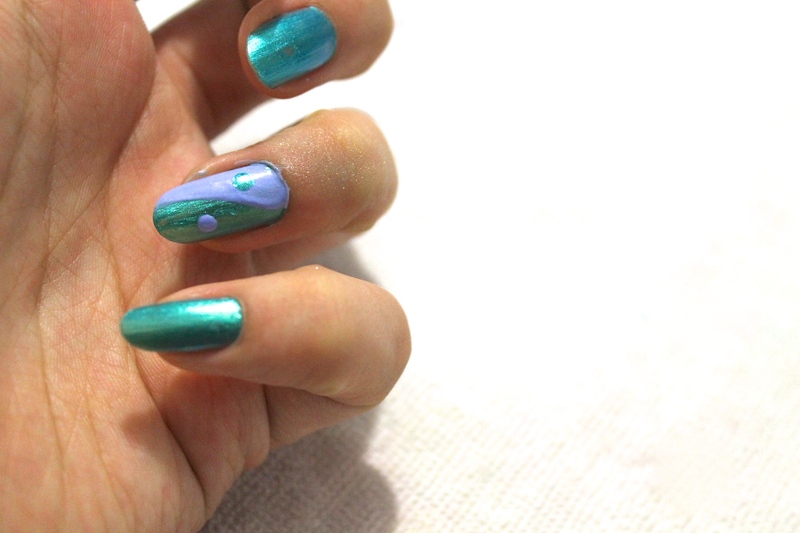 You could apply the design on every nail, or you could even mix up the colors every nail for some trippy shiz. Go crazy with your creative mind and have fun!